I personally believe television can be used as a great educational tool. I believe it isn't used properly that is why there is a negative stigma about it. Your child's television time should be limited and monitored. Let them watch educational shows were they learn something, whether it be the alphabet or sharing. You should talk to your children afterwards about what they've just seen and make sure they are taking what they should away from it. I understand this isn't always practical, but if you can't be there with your child, like if you are making dinner or breastfeeding a baby, you can put on something you know has a goal of developing creative thinking in children. 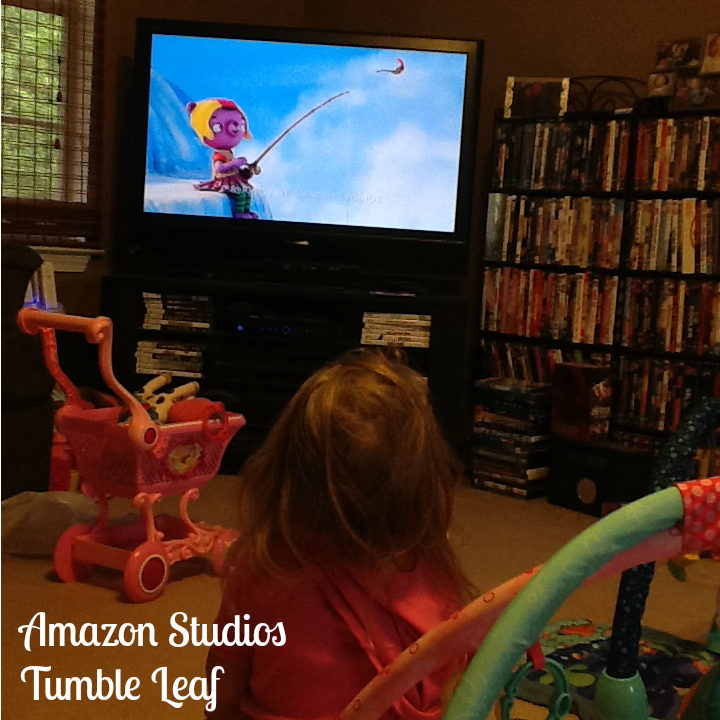 We’ve recently had the opportunity to be introduced to Tumble Leaf from Amazon Studios. It’s their new children’s series available on Amazon Prime Instant Video and is their first kid series aimed at preschool aged children. SweetPea was entranced from the first time we put it on and asks for it daily ever since. She asked to make a pond after one episode and wanted me to buy her a magnify glass to go exploring after another. I love the way it has encourage her to explore her world. SweetPea is three, set to start 3K this upcoming school year, and this show was right up her alley. Tumble Leaf follows Fig, a blue fox (Fig the Fox, get it?) who lives in a shipwrecked schooner ship by the sea and his best friend “Stick,” a caterpillar who lives in a tiny basket strapped to Fig’s forearm, as they discover adventure, friendship, and love around every bend. 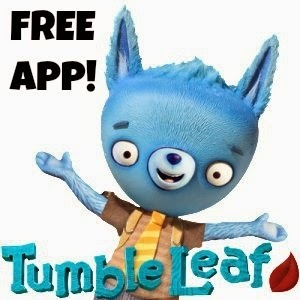 Tumble Leaf recently launched a free Android app featuring six games inspired by objects and activities from the show. You can check out a preview of the show in this short clip below (please click through to the blog to view if you are reading this in RSS feed) so you can see if your littles would love it as much as mine did! What do you think of "Tumble Leaf"? Do you think this would be something your children would be interested in? Do you think television can be used to inspire creativity?